Elite Videos - coming soon! Being A Good Pack Leader? This includes: 1 advert picture, a working link to your website plus text of up to 25 words and optional additional phone number. Up to 25 words please! Please note we do not allow links on our site to companies that promote the use of harsh training techniques or equipment. All applicants will be vetted before link is approved to ensure a good working record. Local dog training clubs / trainers are welcome. 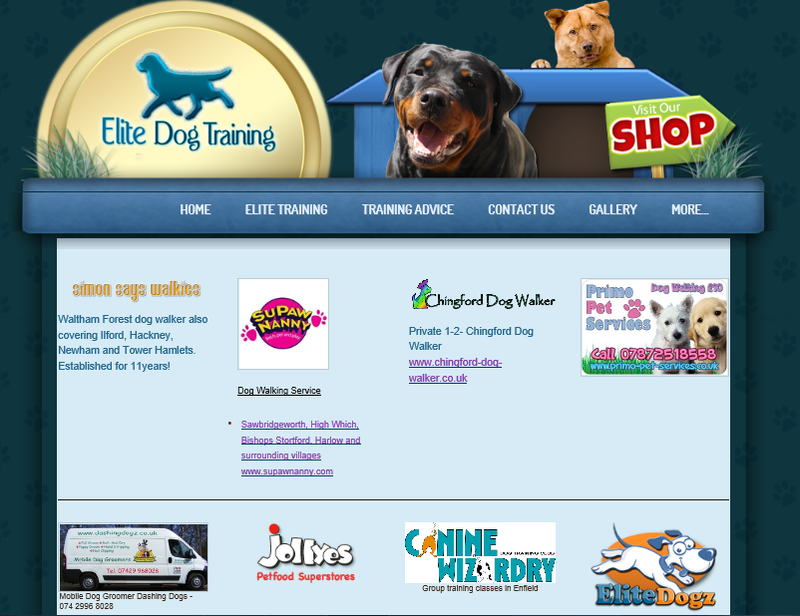 By submitting your advert you understand that Elite Dog Training will contact you via email to arrange payment through paypal if your advert is accepted. Your advert will be displayed for 365 days from the day of payment acceptance and can be removed / altered by yourself at any time via email request.